The problem with weeds is that they grow so well. If only the plants I love would flourish like the weeds in my yard do. Weeds can take the fun out of gardening, and during years with so much moisture, like 2016, they spread like a wildfire. Here are some weeds we are waging war against in our perennial gardens. The difficulty is that every weed seems to require a different control measure. 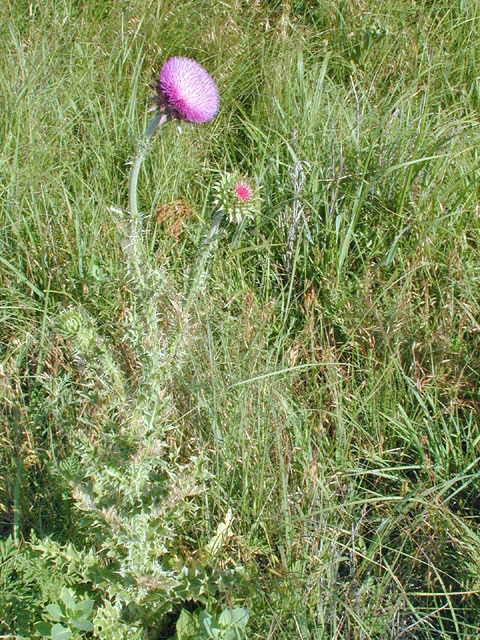 The common themes are that these weeds demand immediate eradication or ruthless elimination. As soon as you see them, spray, pull, hoe, or dig them out. These weeds can be relentless and you need to remove them from your garden as if you were trying to remove the plague. I was at the state fair this weekend and stopped by the noxious weed booth. (Don’t judge me because I am a plant geek.) The thing that struck me was the display of how much one bindweed seed can grow in one year. It’s amazing that it was able to produce so many new plants and that the roots could grow 30 feet deep. No wonder it is so hard to get rid of in a garden. Obviously, the best time to eradicate bindweed is before you plant. I spray the area with Roundup™ several times starting in July and August. Anytime we see green, the area is sprayed. This is the best time to spray because the plant is moving energy from the leaves into the roots for winter storage. The chemical is also moved throughout the extensive root system, killing even those deep roots. 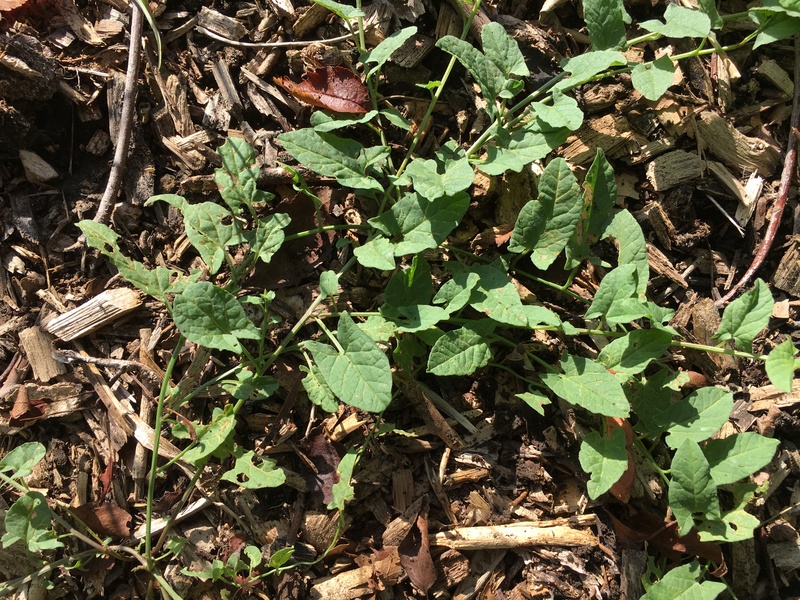 On the other hand, spring is not a good time to spray bindweed, because the plant is moving everything from the roots upward to produce new growth. If you spray at that time, you will not kill the roots. Make sure it is completely gone before planting. Trust me, it is worth waiting to plant until this weed is removed permanently. We have had limited success controlling bindweed by solarizing an area with clear plastic. This process starts by laying a clear tarp on the soil surface and anchoring the edges with soil or bricks and leaving it in place for several months. The problem with this method is that it kills the surface roots, but does nothing to the deep roots that will sprout after the plastic is removed. 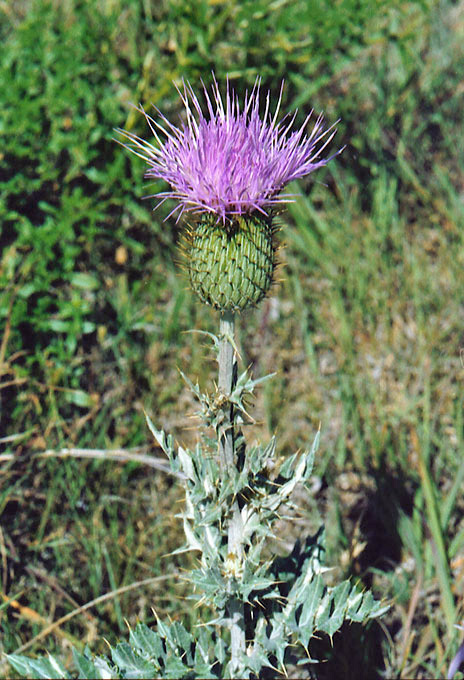 The plant may be weakened but not completely eliminated. Small patches can be hand pulled but you have to stay on it. Every sprig that pops up must be pulled immediately. We have also had limited success with hand painting the leaves with Round-up. Again, every new plant must be found and painted. 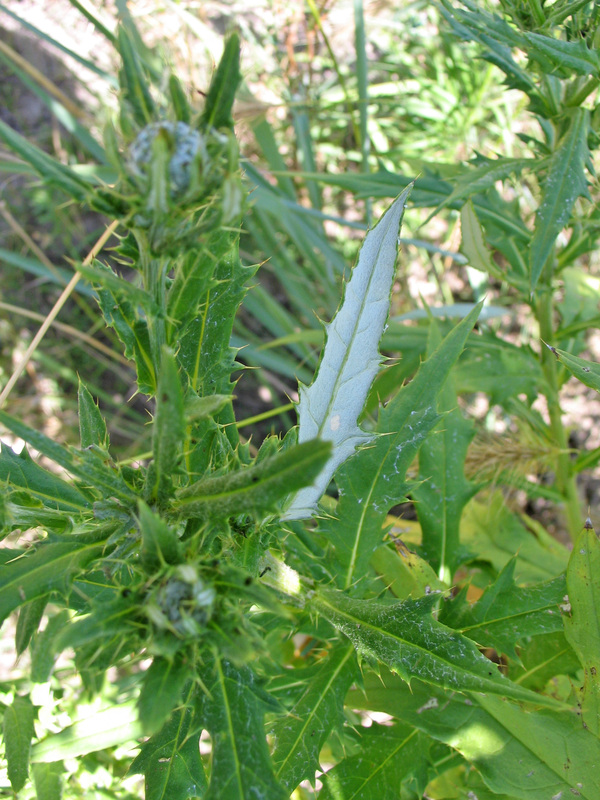 Essentially, you have to be as ruthless and relentless as this weed is to completely remove it from your garden. I thank my ancestors for bringing this over to America with their wheat seed. 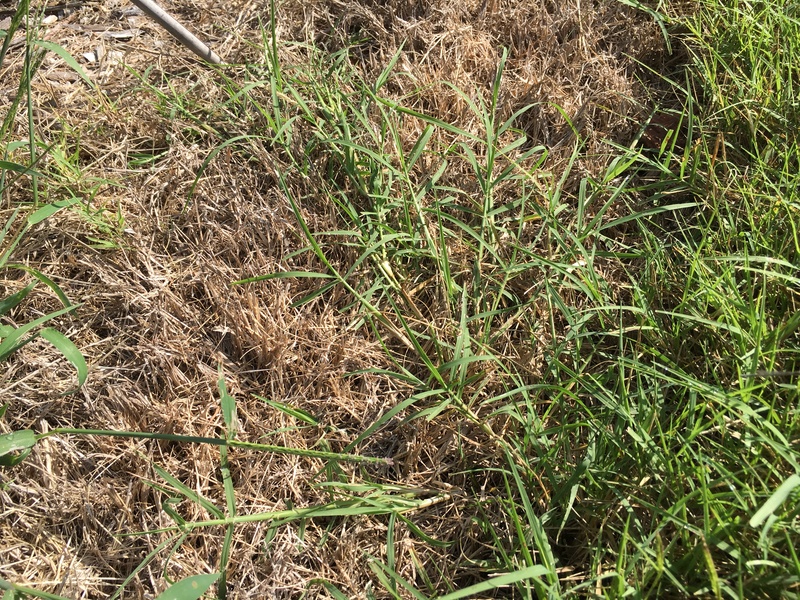 This perennial grass is a problem because of its vigorous creeping habit. The plant spreads by seeds and by above and below ground stems that can take over a garden in one season. It is drought tolerant and thrives with neglect. Like bindweed, bermudagrass is best removed before planting (same as bindweed). If you have it growing next to your gardens, a buffer must be maintained between the perennial display and the lawn area. This buffer can be sprayed every few weeks with Roundup™ to burn back any new runners toward the garden. Raised beds are another defense against bermuda grass. 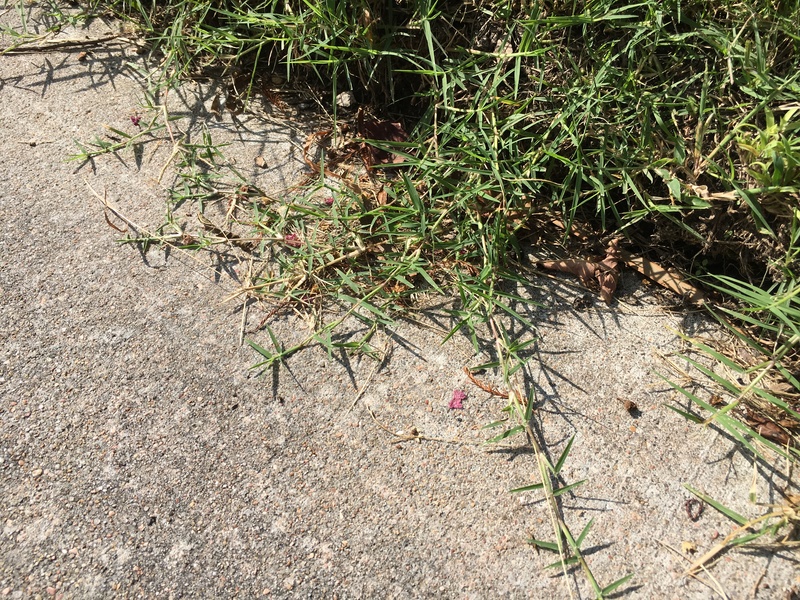 Don’t blow bermuda grass clippings into your gardens. People have had success with solarizing their area before planting, because the roots are not as deep as bindweed. Another method requires mowing the area closely. Next, put down a layer of thick cardboard making sure to leave no gaps. Next, spread a layer of leaves at least 6 inches deep. As time goes on make sure no plants emerge through the leaves. The area can be planted in 6-8 weeks by cutting small holes through the cardboard. This weed loves our mulched beds. 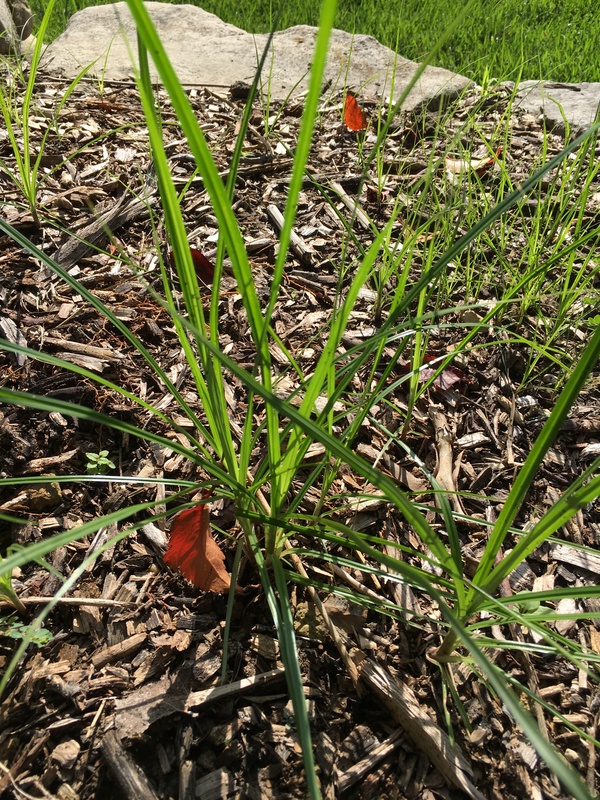 The yellow nutsedge and purple nutsedge spread quickly in areas with little or no competition, garden areas that are regularly watered and poorly drained, rich soil. 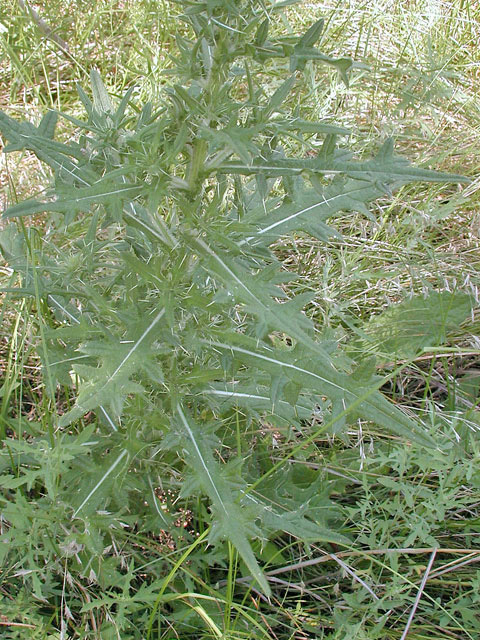 This problem weed has triangular grass-like leaves and forms a colony if left unchecked. 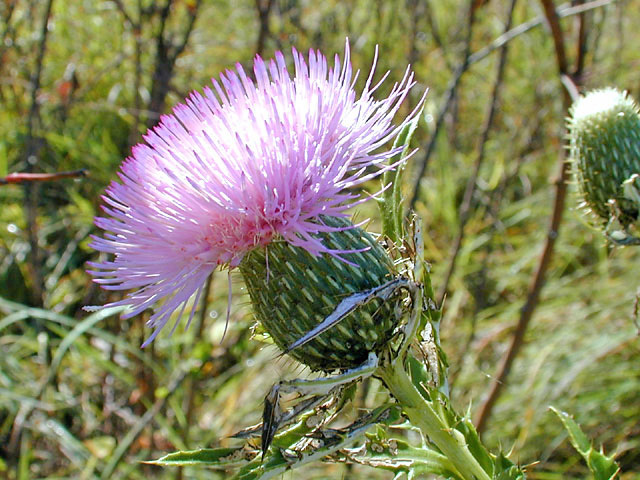 Nutsedges produce underground tubers, and runners that make it difficult to pull out of the ground. Each of these can produce another plant if not completely removed. Again, you need to relentlessly pull the plants every time a new plant emerges. It is most active in May through October. We have had more success spraying nutsedge. We use Manage™ (Sledgehammer) herbicide. It is a selective herbicide that only kills nut sedge. 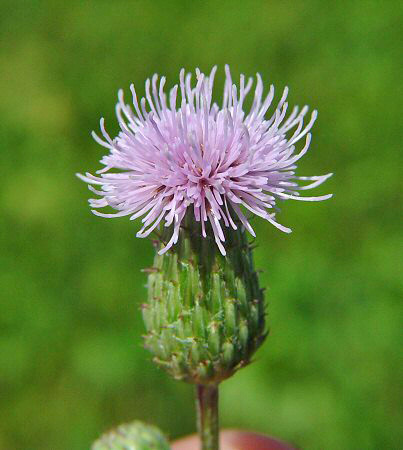 It can be sprayed in close proximity to other perennials, shrubs and trees. It takes a few weeks for the plants to show decline, but Manage™ kills the whole plant including the runners and tubers. Milkweed is always a sellout item at our plant sales. The plight of the monarch has caught the public’s attention as few conservation efforts ever have. It is encouraging to see citizens so galvanized behind an environmental cause! 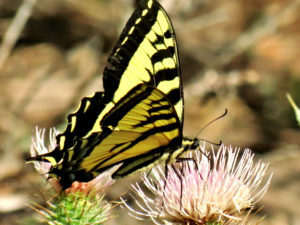 But I wonder if by focusing on one favored butterfly we aren’t seeing the bigger picture – many pollinators are in trouble, not just the cute ones. Bees, beetles, flies, moths … numerous species are in frightening decline. Even the beloved firefly is struggling. These important critters contribute to our way of life through agriculture, science, and stabilization of food webs. It is going to take more than milkweeds to help bring back our pollinator populations. Following are links to organizations and reference information that can help you be effective in the fight against pollinator loss. Ants are pollinators, wasps are pollinators …beetles and midges and even bats! 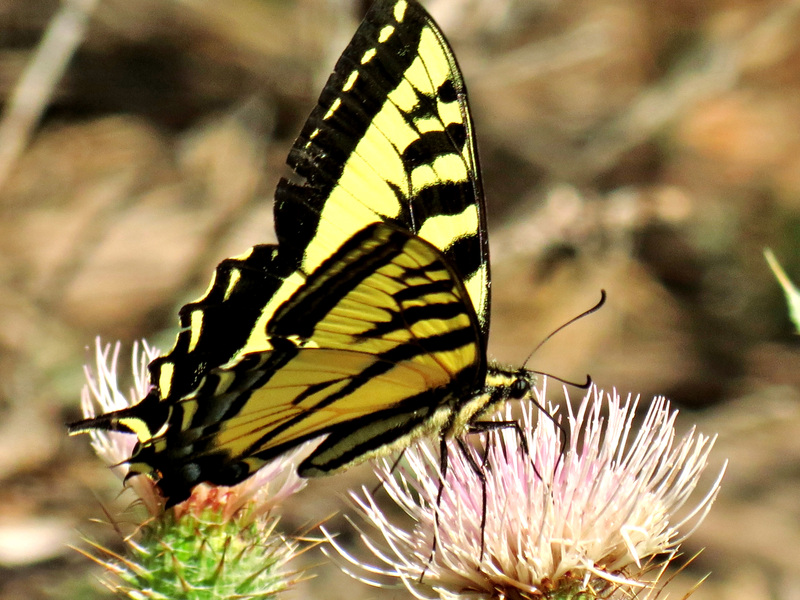 Butterflies may be the most flashy and charismatic pollinator, but let’s not make it a popularity contest. If you are interested in being part of the pollinator conservation movement, be sure your efforts include multiple pollinator species. 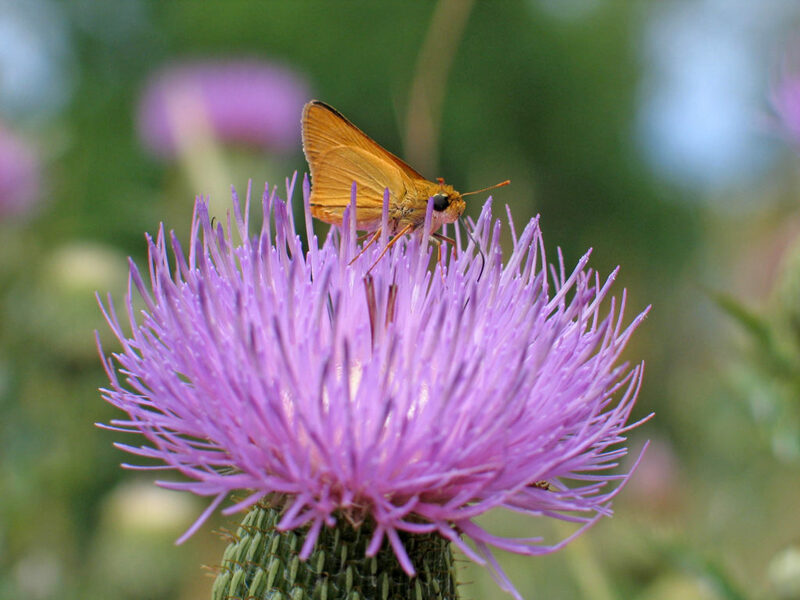 Click here for a slideshow of pollinator facts, or here to learn about the many different species of pollinators in Kansas. 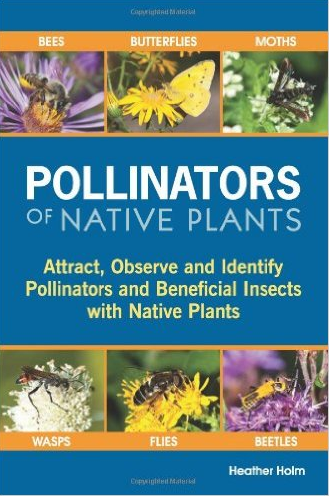 Find this book by Heather Holm in our gift shop – plant and insect profiles to help you host a pollinator palloza! Variety is the spice of life! Try to plant several species of wildflowers with varying bloom times, providing nectar sources that stretch through the season. Different pollinator populations peak at various times through the warm months, so provide for them by having a long blooming garden. Early spring and late fall flowers can help sustain migrating species in the difficult stages of their journey. Research from Cornell concerning east coast monarch migration suggests lack of late season nectar is more crucial to their success than milkweed. Help these insects get the energy they need all through year! Want to nurse some larvae in your backyard? 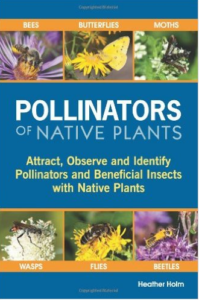 Find the host plants that cater to pollinators in your area. Milkweeds (Asclepias sp.) host monarch caterpillars, yes, but another plant to try is spicebush (Lindera benzoin) for the tiger swallowtail. Rattlesnake master (Eryngium yuccafolium) hosts the borer moth (Papaipema eryngii), also a favorite of wasps. Do your research before you plant to ensure that your garden will be appealing to pollinators native to your region. 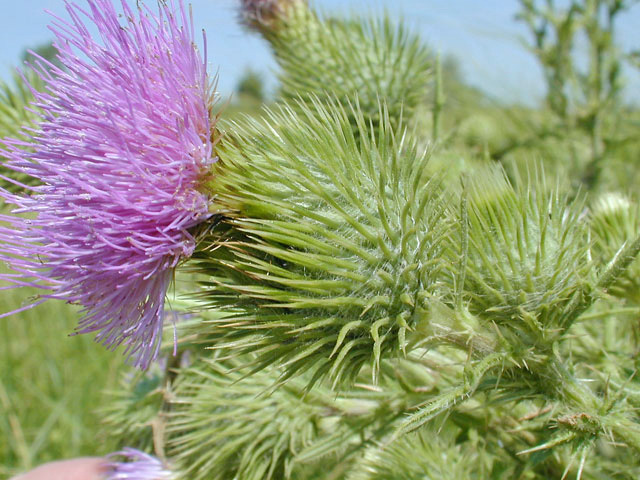 This link has great information on how to create pollinator habitat in the Great Plains region. This one has planting guides for US ecoregions. We have all heard of organizations that rescue cats and dogs or save pandas from poaching. But who is looking out for the little guys? There are some wonderful organizations fighting to protect threatened species of insects and other invertebrates. Consider giving your time, talents or money to these organizations to help them carry out conservation projects. Check out their websites for helpful resources. 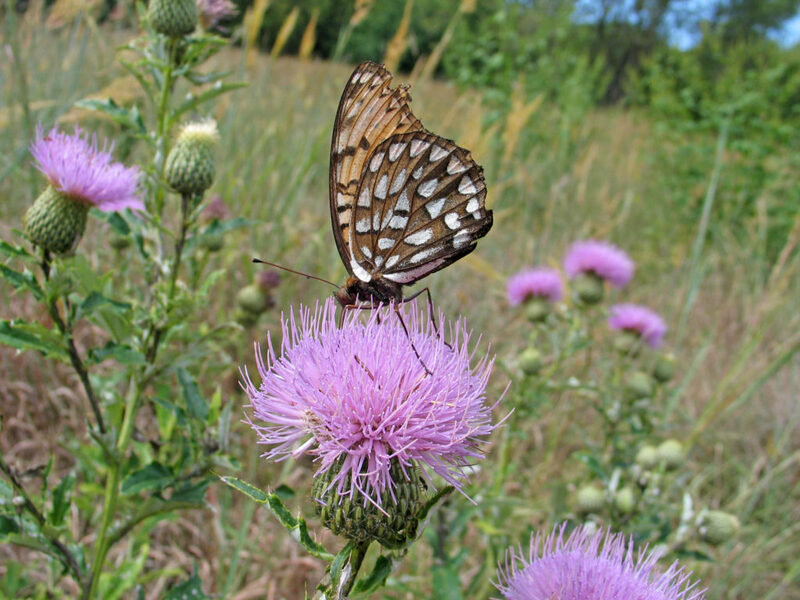 The Xerces Society “is a nonprofit organization that protects wildlife through the conservation of invertebrates and their habitat.” They have ongoing programs for butterfly and pollinator conservation. Monarch Watch is a nonprofit that focuses on education and conservation efforts for the monarch butterfly, based at the University of Kansas. As you continue to create monarch weigh stations with proud stands of milkweed, remember that there are lots of other less popular pollinators that need our care and concern. Wasps, bees, ants and beetles may not be as beautiful as butterflies, but they too contribute to the balance of our ecosystem. My family makes our home on the prairie. We love it here. Most of our family and friends are here. Our family history is here. We have created our community here. My vocation is centered around the prairie landscape and it gives me a sense of place on the Plains. Flower and seed heads of Indiangrass (Sorhastrum nutans), compass plant (Silphium laciniatum), and rigid goldenrod (Solidago rigida). We also love to visit other areas of the U.S. and leave our “home on the range” at least once every summer for a week or two. Most often we go west to enjoy the Rocky Mountains in Colorado and sometimes beyond in states like Wyoming and Idaho. The mountain vistas, the cool and dry air, the rocky snow-melt streams, and the concentrated wildflower season are all attractive during the hot months of July and August on the Plains. 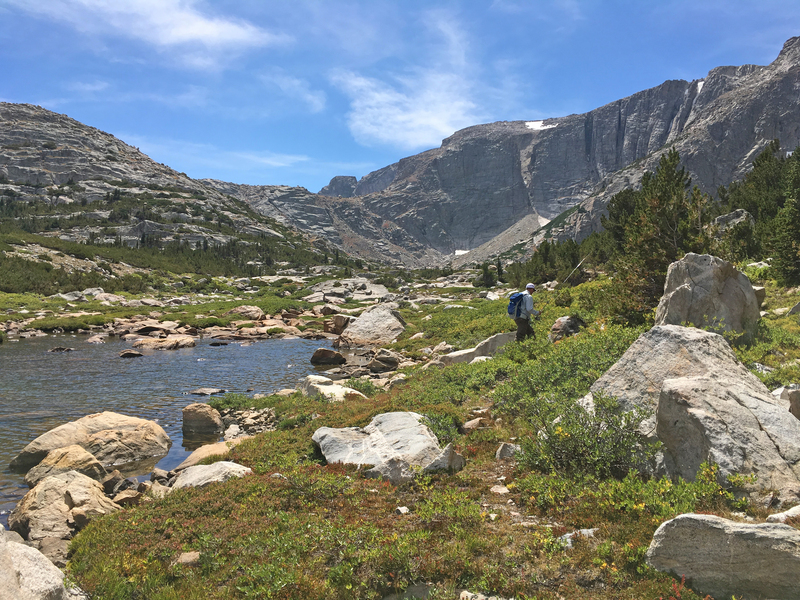 Recently, I was able to enjoy a remote nugget of the West through a backpacking and fly-fishing trip into the Wind River Range of the Rockies in Western Wyoming. My Denver-based brother-in-law and his friends put considerable time and effort into planning this trip that took us 10 miles into the Popo Agie Wilderness where phones are only useful as cameras. The Wind Rivers feature high, jagged peaks; deep, narrow valleys and canyons; sheer granite walls; cirque basins; talus slopes; and perennial snowfields. At 11,000-12,000 feet in elevation, we saw very few people, got snowed on repeatedly, observed trout-filled streams and lakes, and witnessed some of the darkest night skies that the United States has to offer (yes, the Milky Way does really exist). This trip was a real treat. A lake and rugged terrain in the Popo Agie Wilderness area. Only four percent of Kansas is developed. Unless you live in Kansas City, traffic rarely raises blood pressure in Kansas. Few people have to worry about illness related to air pollution. We have access to clean and plentiful water supplies across the state. 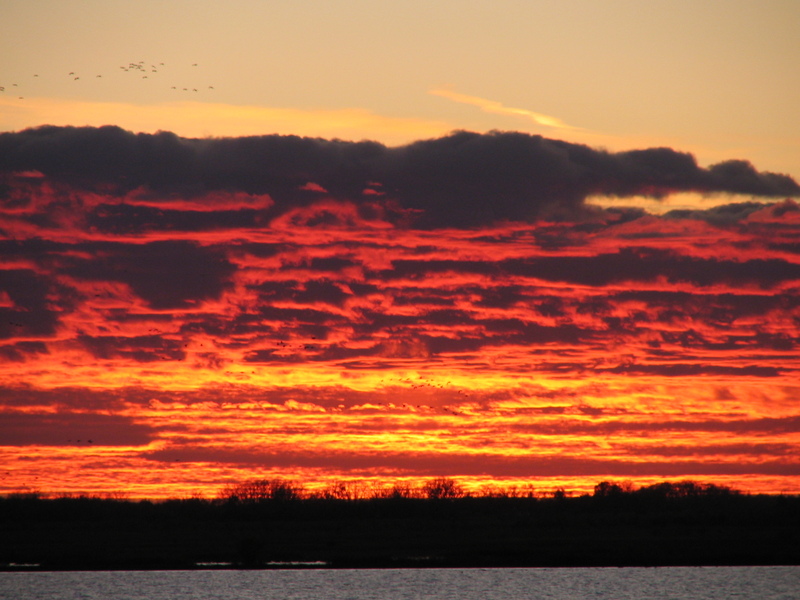 Plus, the massive complex of wetlands at Quivira Wildlife Refuge and Cheyenne Bottoms makes Kansas a critical stop to legions of migrating birds as part of the Great Plains Flyway. Of the 96% undeveloped areas, 53% is in cropland and 43% is covered by prairie. Farming and grazing are economic staples which means that folks are closely connected to the land. Deep soils make Kansas one of the most fertile landscapes in the world (thanks to thousands of years of prairie roots). Rich earth combined with plentiful rainfall give us easy access to plentiful and healthy food supplies. 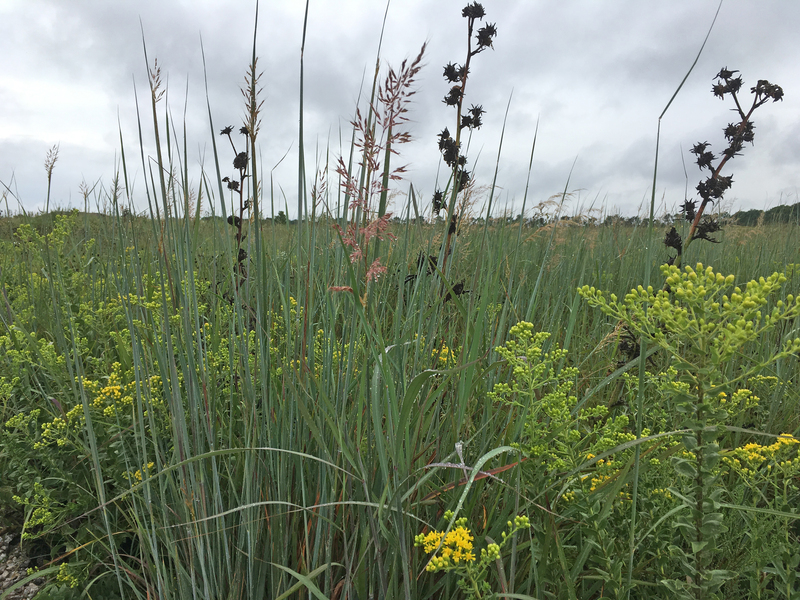 Prairies are the skin of our earth and abundant in the Flint Hills and Smoky Hills. They are beautiful at both the landscape and micro-levels. They are biologically diverse, hosting hundreds of species of plants and animals. Prairies are very important to our human health. Big sky and sunsets are Kansas eye candy. The absence of trees does have its advantages. 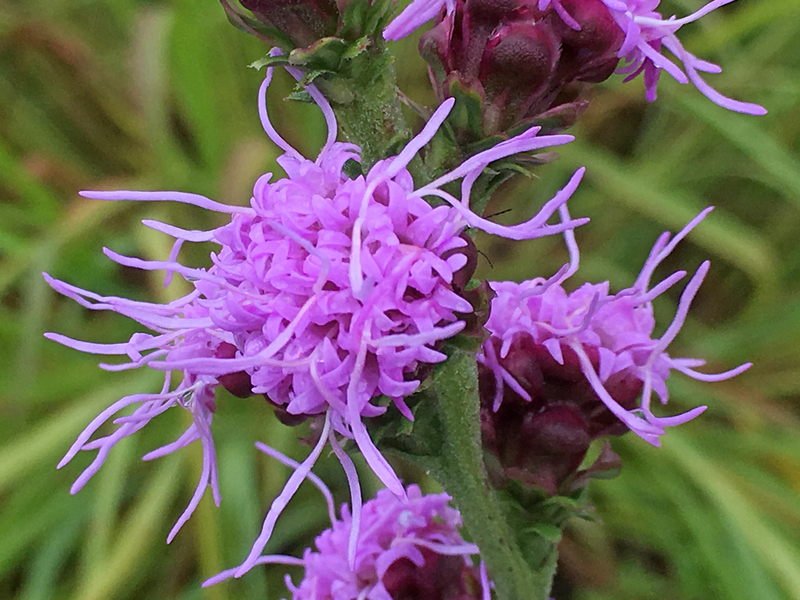 Tall gayfeather (Liatris aspera), a prairie bloomer in August and September. “How often at night, when the heavens were bright, with the light of the twinkling stars have I stood here amazed, and asked as I gazed, if their glory exceed that of ours. Sunset at Quivira Wildlife Refuge.